Coffee cup of earthenware painted with enamels and cylindrical in shape with a loop handle. 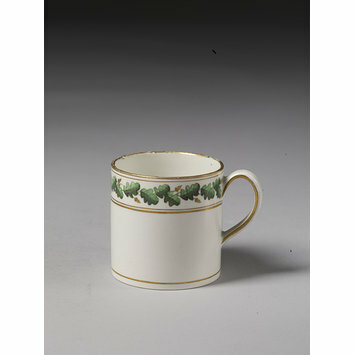 Under the rim is a band of oak leaves in green and acorns in gold between gold lines. 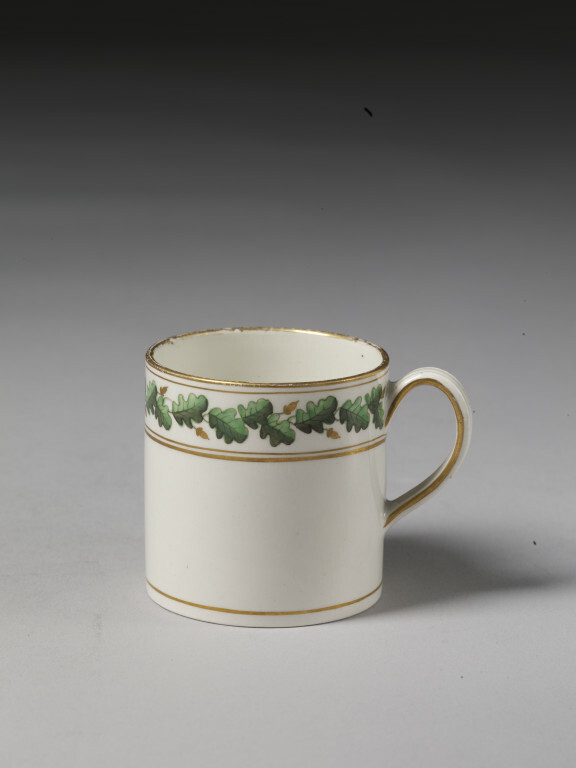 Coffee cup of earthenware painted with enamels and cylindrical in shape with a loop handle, Josiah Wedgwood and Sons Ltd., Etruria, ca. 1800.